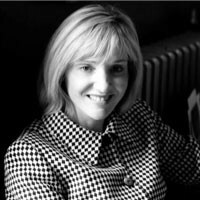 Julie has held several Non-Executive Director positions both commercial and not-for-profit and in 2010 was appointed Non-Executive Director of Vortex Commerce, a technology company that specialises in the development of e-commerce and web–market places. Regulatory – all aspects on people strategy related to achieving required conduct performance and desired customer experience. Julie has a first degree in Psychology, a Postgraduate Diploma in Management Sciences and is a Fellow of both the Chartered Institute of Personnel and Development and the Royal Society of Arts. Julie was trained and accredited as an Executive Coach in New York with London Perret Roche in 1996. She has a mature, logical supportive approach to her work and is renowned for her ability to get results. She is trained and accredited in various psychometric tools including SHL suites and Hogan Tools. Julie integrates a sharp business focus with state of the art coaching technologies in order to deliver results.